Dunes Laminated Tote Bag is one of our newest additions. Our natural color laminated material provides a subtle canvas-like appearance. 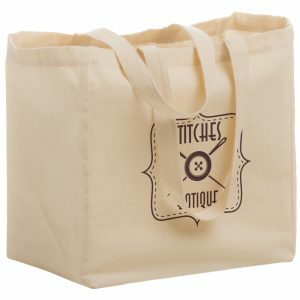 These reusable bags are available at an affordable price. Customize with your company logo today! 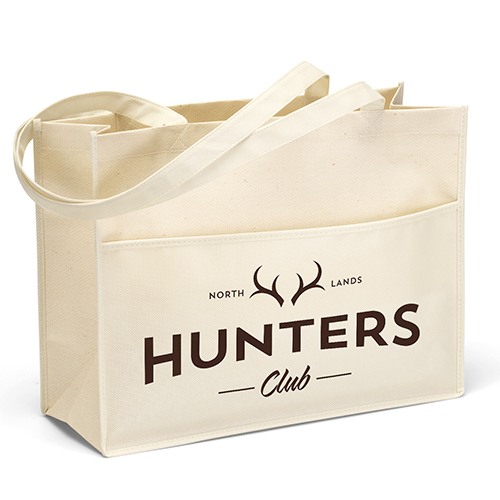 View other great laminated tote bags here. 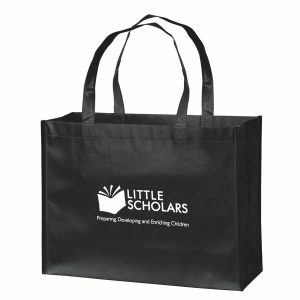 Request a free quote today for any of our high quality custom shopping bags. Dunes Laminated Tote Bag is one of our newest additions. Our natural color laminated material provides a subtle canvas like appearance. These reusable bags are available at an affordable price. Customize with your company logo today! View other great laminated tote bags here. See our complete selection of awesome promos at customgreenpromos.com. You can contact our customer service department for pricing at 888-565-2235. They are glad to assist. 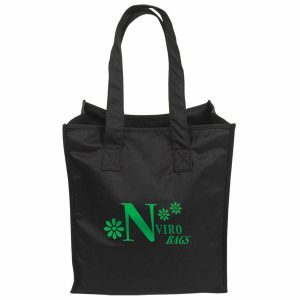 We are one of the top reusable bag manufacturers in the business. We have been offering companies earth friendly bags for years. Each product is imprinted with your company logo. All of our products are great for your company and setting your business off in the right direction. Custom Green Promos is your leading supplier for all of your business’s promotional items needs. Ultimately it comes down to our experience the affordable products we offer. We have the know how to handle all of your promotional product needs. 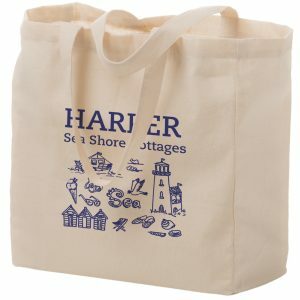 We carry a large selection of reusable bags and many other products. Our natural color laminated material provides a subtle canvas like appearance. 105 combined GSM matte laminated tote bag. 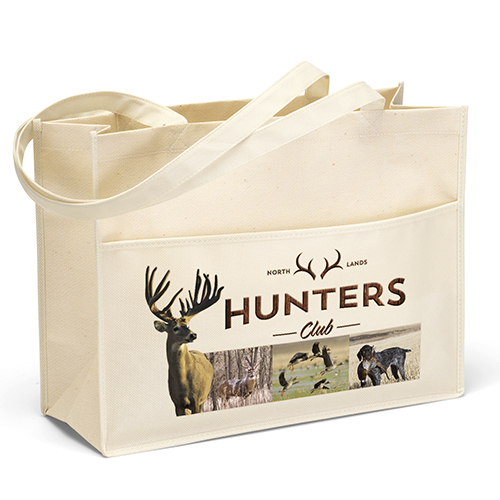 With a large non woven polypropylene pocket on the front for your imprint. 28” handles. Contains 20% post-industrial recycled content. Optional plastic bottom insert available.